One of the first things I learnt about travelling is that you should always expect the unexpected. Plans will go wrong, you will deviate from your travel itinerary, you can get disappointed over some experiences. 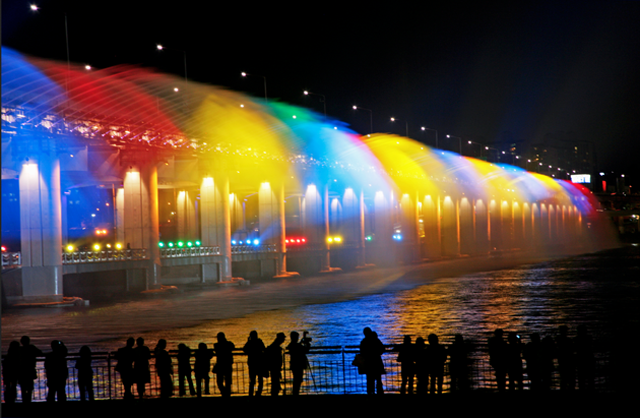 Heading out to the Banpo Bridge in Seoul or more popularly known as Rainbow Bridge for its colored fountain show, I was in high spirits and high expectations of this show. It was meant to be a beautiful sight, showcasing the bridge’s unique structure as a 2 storey bridge. 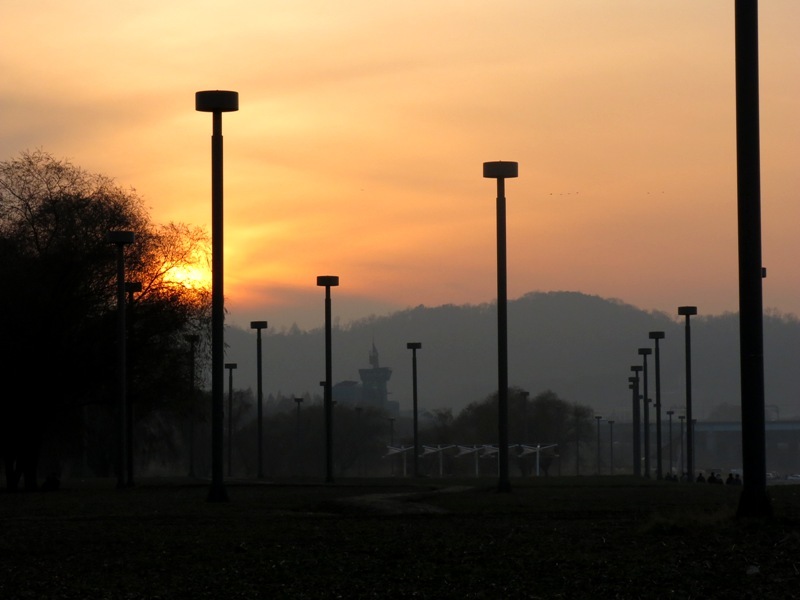 I made my way there from Donjak Station but I still got lost because there was not much directions from there. 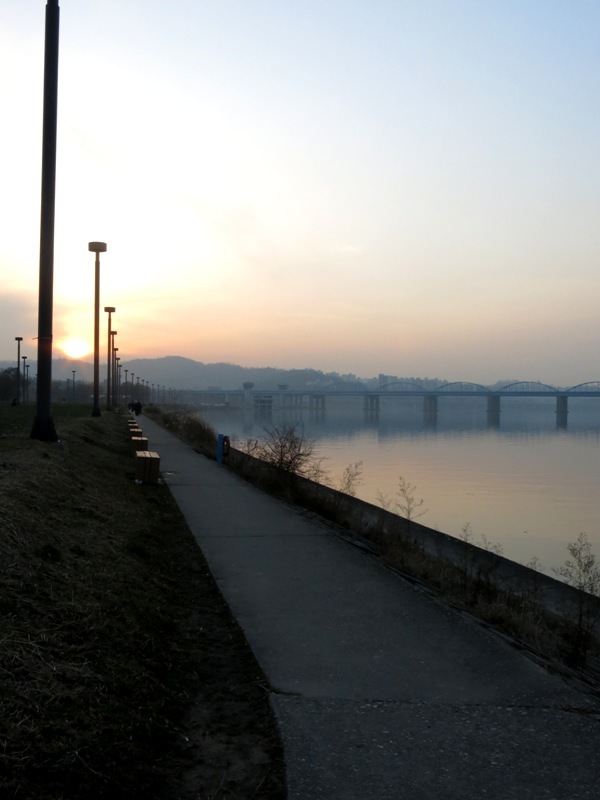 In the end, I made myself walk along the Han River, to make it easier to keep the bridge in sight. I waited patiently as the sky slowly started to turn dark. The cold temperature started to seep in and I was soon forced to move around to keep my warmth. And yet, the bridge remained dark and silent. I was the only one waiting around in the area. I finally resorted to looking up information for help. It would seem that I had failed to note the most crucial piece of information during my research. There was no show during winter. Honestly, I was disappointed because it was a bit out of the way from downtown Seoul, crossing over the Han River to get to the bridge. 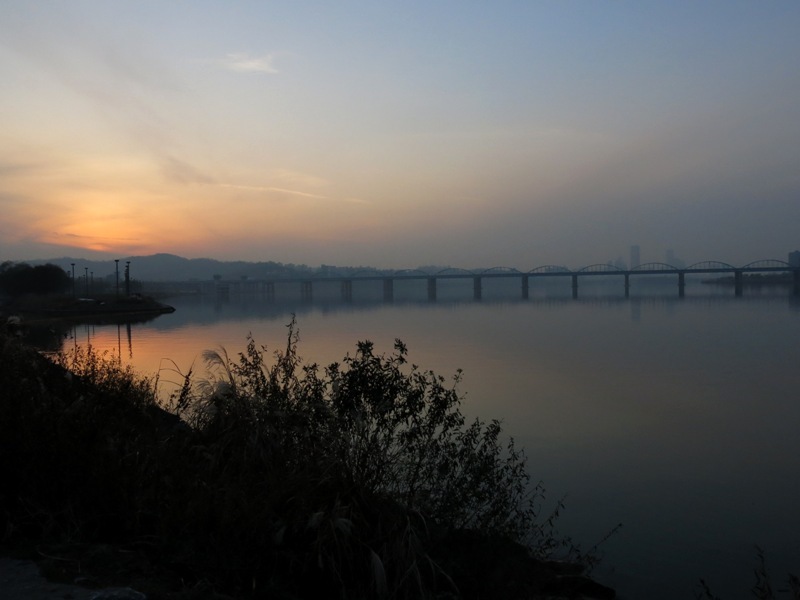 All is not lost though, I left with wonderful memories (and photos) of a beautiful sunset walk along the Han River instead. Beautiful in its own right but disappointing not to see it in person that’s for sure! what a pity you couldnt see it lit up! Eeeewww!! Rats!! Big rats!! Eeewwww…ok…I think you’ve managed to spoil my image of gondolas now…will forever be thinking of rats…haha! hahaahaha its better than keep the illusion of romance hahaha but I guess one should do this at least once in their lives 😀 either ways, Venice is a very pretty city!! You are right, that is just as beautiful as the first pcture. Such stillness and peace. Tranquility in a word. I researched online for the best sunset spot in Santa Barbara, only to find that the one I chose was not very reliable. I had to chase and chase and chase the sun and ended up with nothing. Also in Santa Barbara, I went for a waterfall hike. The “water”-fall barely had that much water. Oh dispointing you missed the light show, but great sunset pics!